“The 21C Music Festival returns for its fifth edition to The Royal Conservatory of Music from May 23 to May 27, 2018 and we once again welcome musicians and composers who are pushing the boundaries of contemporary composition and performance. We are enormously grateful to festival benefactors Michael and Sonja Koerner, who have supported this initiative from its inception and have now extended their support of the Festival for an additional five years – to 2023,” said Mervon Mehta, Executive Director of Performing Arts at The Royal Conservatory. At this festival of newly minted music, audiences have an opportunity to experience fresh new sounds and ideas from the greatest musical minds of today. Canadian as well as international composers and musicians are mining new musical territories, breaking down barriers, and introducing us to new virtuosic music creations. 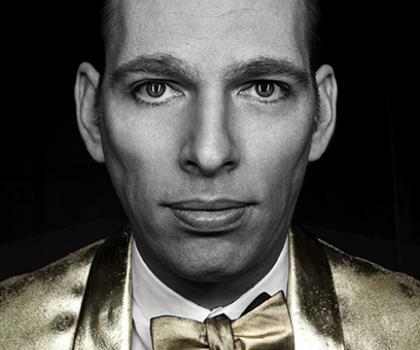 The 21C Music Festival kicks off on May 23 with Los Angeles-based Jherek Bischoff and the adventurous and daring Kronos Quartet. Bischoff is a composer, arranger, producer, and multi-instrumental performer hailed a “pop polymath” by The New York Times and a “phenom” by The New Yorker, while the Kronos Quartet combines a spirit of fearless exploration with a commitment to continually reimagine the string quartet experience. The program will include works composed for Fifty for the Future: The Kronos Learning Repertoire, such as Canadian composer Nicole Lizée’s Another Living Soul as well as Islam Chipsy’s Zaghlala and Yevgeniy Sharlat’s Pencil Sketches. Other composers on the program include George Gershwin, John Coltrane, Sigur Rós, and Pete Townshend. In the second half of the program, Bischoff joins the Quartet on bass guitar for three Canadian premieres (including two of his own pieces) as well as his new world premiere work (co-commissioned by The Royal Conservatory/Koerner Hall), which will conclude the evening. One of the leading champions of contemporary music, pianist Anthony de Mare invited 36 of the world’s foremost contemporary composers to choose a song by Stephen Sondheim and reimagine it as a solo piano piece. Both an homage and a celebration, Liaisons makes the case for Sondheim as one of the 20th century’s most influential composers. Many of the pieces will receive their Canadian or Ontario premieres. Part One, on May 24 at 8pm, will feature Canadian composer Rodney Sharman’s Notes on “Beautiful,” Steve Reich’s “Finishing the Hat – Two Pianos,” Andy Akiho’s “Into the Woods,” Nico Muhly’s “Color and Light,” and Wynton Marsalis’s “That Old Piano Roll,” among many others. The concert will also include a film interlude of an onstage interview with Stephen Sondheim at Liaisons’ New York City premiere. Part Two: 21C After Hours on May 25 at 10:30pm, will feature “The Ladies Who Lunch” by David Rakowski, “The Ballad of Sweeney Todd” by Kenji Bunch, “Pretty Women” by Mark-Anthony Turnage, “Send in the Clowns” by Ethan Iverson, and much more. On May 26 at 5pm, Sri Lankan-born, Halifax-based composer/pianist Dinuk Wijeratne and Syrian-born, New York-based composer/clarinetist Kinan Azmeh present a number of Toronto premieres of their own works as well as a world premiere of a new piece, commissioned by The Royal Conservatory/Koerner Hall. Azmeh’s November 22nd, Ibn Arabi’s Postlude, and Airports, as well as Wijeratne’s This Way Up↓, Something There, and Whose Windows are Songs and Silences, mix delicate arrangements and adventurous improvisation. The duo's unique blend of Middle Eastern, South Asian, classical, and jazz influences has taken them from Berlin's Philharmonie and Boulez Saal to Teatro Colón in Buenos Aires and beyond. A member of Yo-Yo Ma’s Silk Road Ensemble, Azmeh has been called a “virtuoso” and “intensely soulful” by The New York Times, “spellbinding” by The New Yorker, and CBC has noted his “incredibly rich sound.” Boundary-crossing Wijeratne has been described by the Toronto Star as “an artist who reflects a positive vision of our cultural future” and by The New York Times as “exuberantly creative.” His work for the Afiara Quartet and DJ Skratch Bastid, featured in the second edition of 21C, went on to win a Juno Award for Best Composition in 2016. On May 26 at 8pm, Maarja Nuut (vocals, violin & electronics) and Hendrik Kaljujärv (electronics) open the evening for the Grammy Award-winning vocal ensemble Vox Clamantis. Nuut uses modern music technologies – electronics and looping – to create a soundscape where minimalism and experimental music meet village music traditions from Europe, and one is drawn into her sonic dream world, characterized by Estonian mysticism, experimental soundscapes, and classical storytelling. A special collaboration with Estonian electronic music composer Kaljujärv adds more edgy electronic sounds to Nuut’s hypnotic acoustic loops and together they push boundaries and expand soundscapes. Vox Clamantis is “a rarity. The 15 singers’ sound is complete, comfortable possession of the music and its incantatory intentions.” (BBC Music) A shared passion for Gregorian chant, early polyphony, and contemporary music unite the members of the ensemble, who believe that the essence of Gregorian chant can reach beyond its stylistic boundaries and freely blend with the music of modern ages and other cultures. Their unique program will consist of a Gregorian hymns interspersed with 20th and 21st century pieces by Arvo Pärt, Cyrillus Kreek, David Lang, Helena Tulve, and Tõnis Kaumann. This concert is presented in partnership with Estonian Music Week, the Museum of Estonians Abroad/VEMU, Estonian Studies Centre, Estonia 100, and generously supported by Kris Vikmanis & Denny Creighton. Presented in association with Alliance française de Toronto, this concert is also part of the Invesco Piano Concerts. New Music Concerts presents Zipangu! The Royal Conservatory is pleased to welcome once again New Music Concerts, under the direction of Founding Artistic Director Robert Aitken, as its partner for this edition of 21C, after their appearance during the inaugural Festival in 2014. In their return on May 27 at 6pm, the New Music Concerts String Orchestra will be joined by The Iris Ensemble and Accordes for the New Music Concerts 1980 commission of Claude Vivier’s Zipangu, the world premiere of an Ontario Arts Council/NMC commission from Brian Harman inspired by Zipangu, and finally two works by Roger Reynolds – the Canadian premiere of Not Forgotten and the world premiere of a new work for flute and string quartet featuring Robert Aitken on flute. Several pre- or post-concert talks will feature composers and performers in discussion offering further insight into the works being presented.